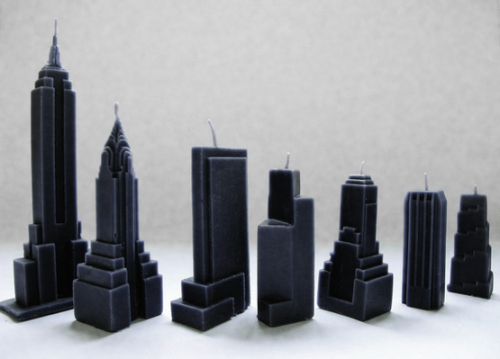 Some men, just want to watch the world burn. 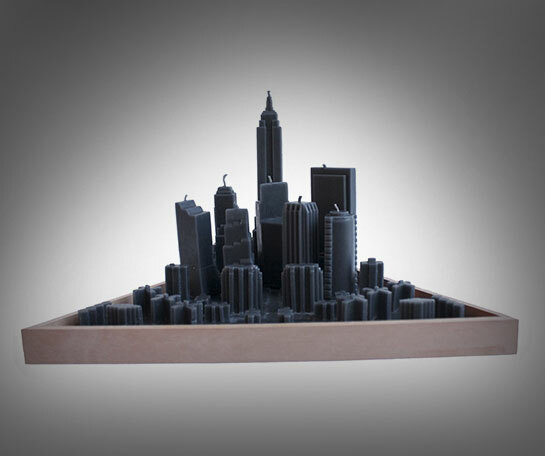 God I love Captain America, what a great movie! 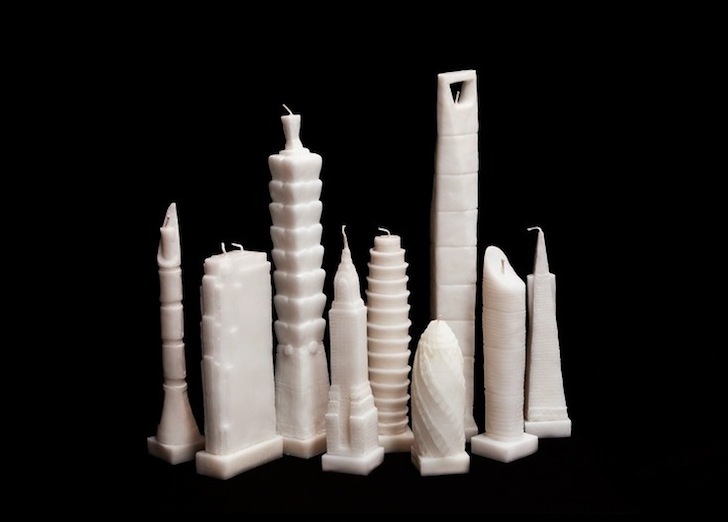 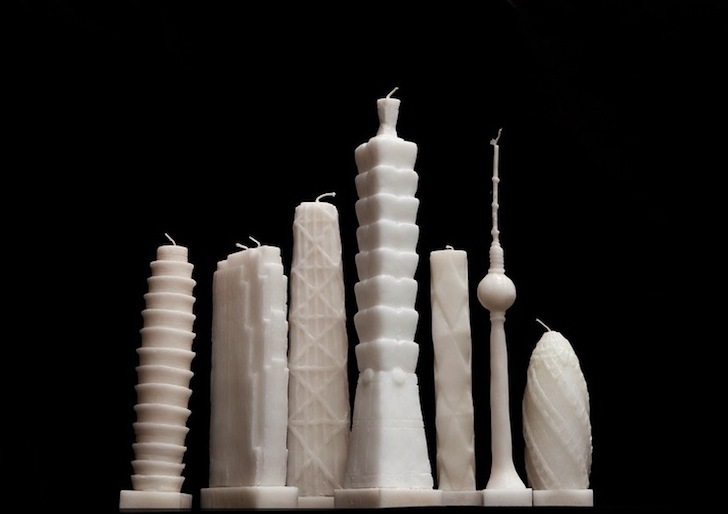 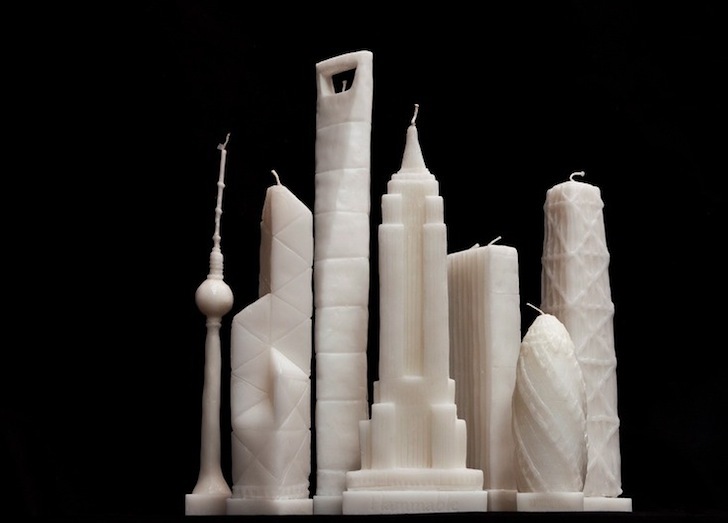 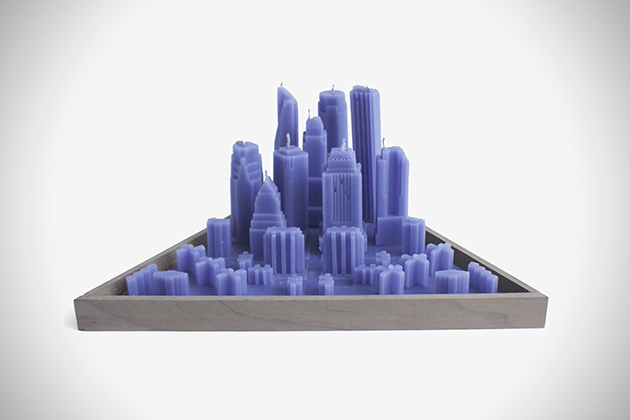 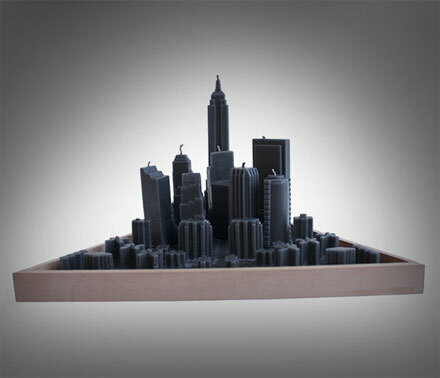 The skyscraper candles are candles made to look just like a set of skyscrapers in a city, and was designed by Philipinno artist Lan Tuazon who hand makes each candle in her studio in New York City. 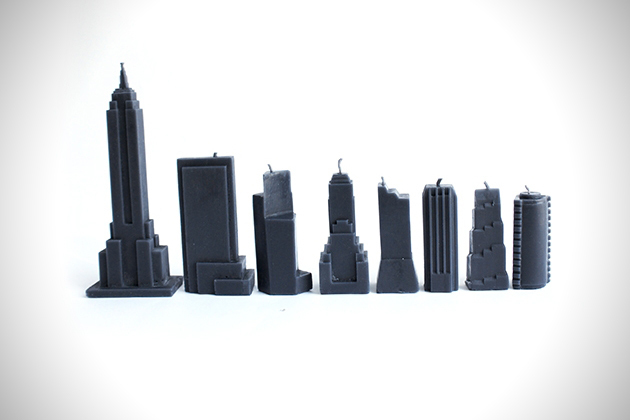 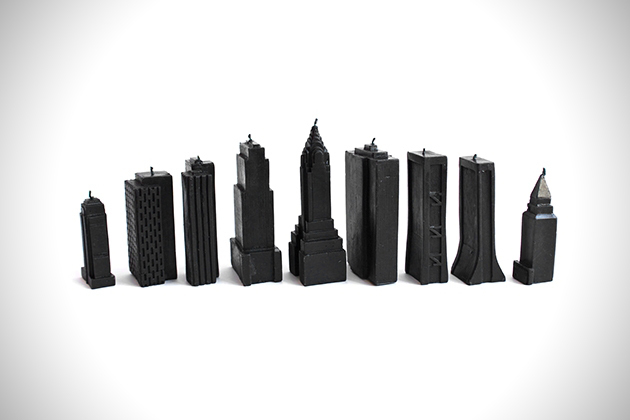 The skyscraper candles come in 3 sets: Civic and corporate buildings, Office Buildings, and World Banks, with each being a limited edition with only 100 of each being made, now if only they can make a Gotham City candle set! 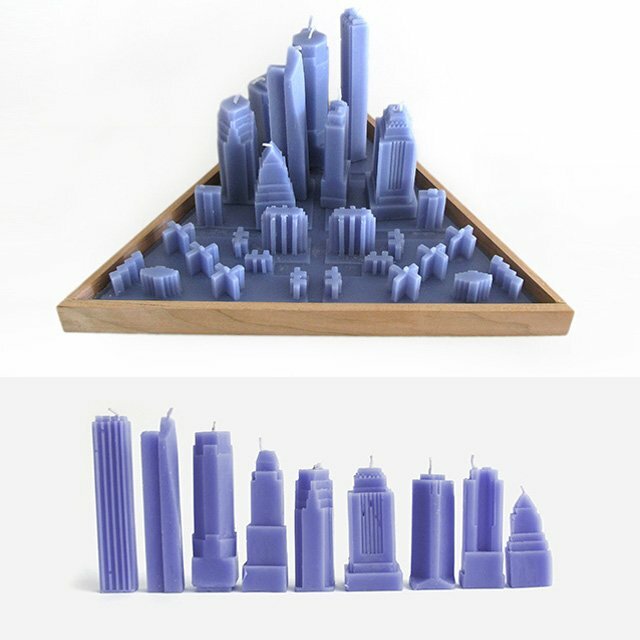 The skyscraper candle sets are made from wax and come with a wood base, measure between 3-5 inches tall, and contain 8-9 movable buildings depending on what set you get.